Meaning 'The Square' in Italian, La Piazza is an Italian restaurant located at the Square, next to Eclipse and Rock Bar. 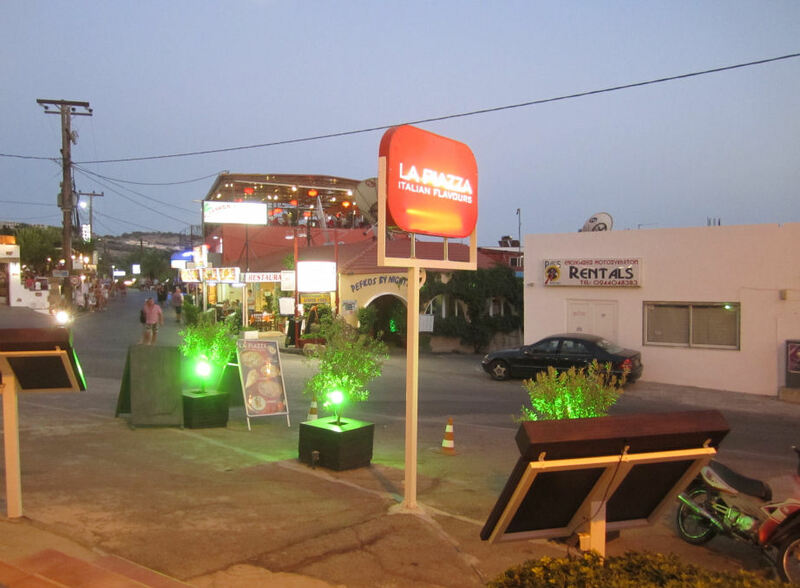 La Piazza is a very popular Italian restaurant serving great pizza and pasta dishes. You can watch the chefs spinning and stretching the pizza dough in the open kitchen at the back. For lovers of hot and spicy food we recommend the Penne Al Amatriciana. The Pizzas are also delicious. The lighting and friendly service combined with well priced, very tasty food (and a decent house wine) ensures many returning customers. 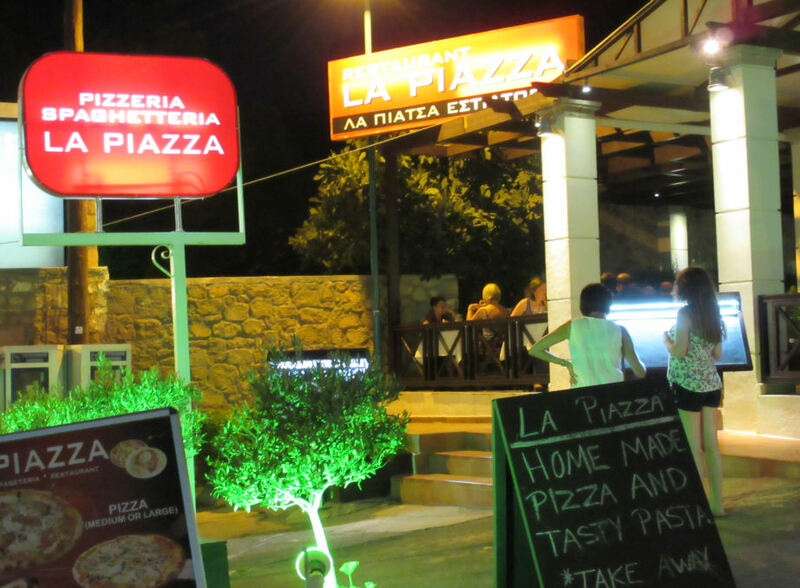 If La Piazza is a favourite of yours, give them a vote in Best in Pefkos 2016.